Sniffer must help with the investigation into the break-in and attack on the guard that he perpetrated himself, and hide his involvement in the matter. When the tech expert tries to pull up the security footage they find that it has been corrupted, much to Sniffer's relief. 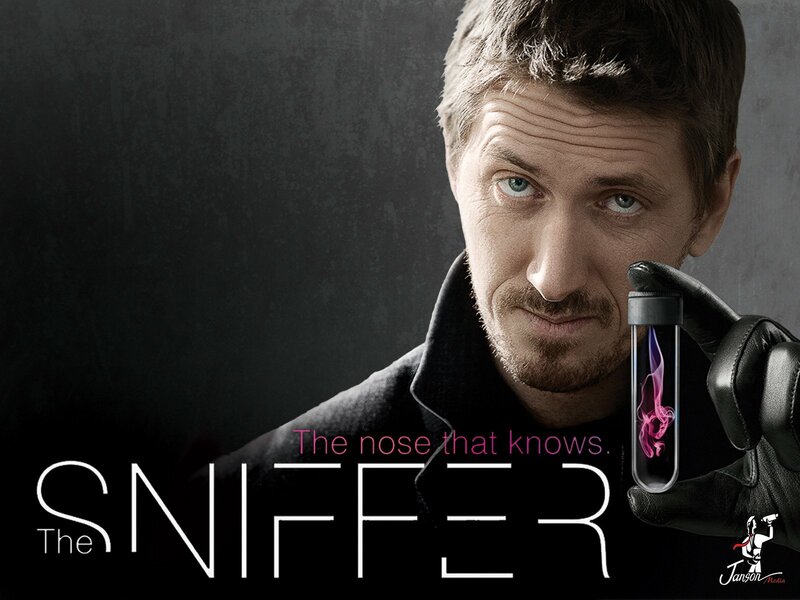 Sniffer then leaves to return the gun that his hypnotized self had stolen from the evidence locker. He is forced to hide when another employee comes into the room but isn't caught. The sniper Viktor caught in the previous episode is brought in to be interrogated by him. He stays silent when Viktor asks him for his name but eventually answers the questions cryptically with philosophies regarding life. He has a mysterious tattoo that makes Viktor suspect that the man is part of a rogue security force. Viktor swears to figure out who he is and what the tattoo means. Viktor's superior tells him that the things he was saying were lines from the samurai code of honour. Sniffer has an awkward birthday dinner for his son Alex in which his ex-wife gets into a fight with her mother and then cries on Sniffer's shoulder. He later figures out that he had gotten a call from an unknown caller that lasted roughly thirty seconds before he went into his trance. Viktor's boss is visited by a military commander who identifies the sniper is named Oleg and served in special operation unit 1354, which explains the tattoo. the unit was created for especially dangerous and sensitive tasks which is why there's no official record of them. There was a time that the unit worked well but one day they killed two terrorists they were supposed to keep alive and bring in for questioning. Their superiors should've investigated things sooner but eventually, the soldiers began to kill more and more people. The decision was made to liquidate the uni but three hours before they were set to be arrested, all of its members disappeared. There were ten in the unit including the commanding officer. As of now there are seven still out on the run. One of the officers in the department gets a call with the same strange tones and immediately thereafter goes over to the sniper's holding cell and shoots him dead before turning the gun on himself. It's determined that the cop hadn't been feeling well after he got a flu vaccination. The tech expert is unable to trace the call. Blood analysis determines that the vaccinations had an effect on those that received them more than what they were advertised for. Sniffer messes with some blood samples to try to cover his tracks but accidentally breaks a glass beaker in the process and cuts his finger before leaving. When the medical examiner comes in she finds a bloody fingerprint that Sniffer left behind when stealing Barkov's blood sample. She brings Viktor in to show him what has happened. Viktor tells her to trace the bloody fingerprint and she also informs him that she will still be able to conduct the investigation since she had a control sample saved. Sniffer questions the man responsible for the vaccines and their conversation is interrupted by his talking to Viktor on the phone. The man's phone call is traced by the military security force and a shooter is sent to dispatch him for being an information leak. While Sniffer is doing his own investigation on the blood sample, Viktor arrives just after the doctor has been taken. Viktor tries calling him and the sniper takes the doctor's phone. When Viktor finds out the doctor left with a bald man, the witness identifies him off a picture of one of the snipers from the military operation. The sniper puts the doctor into the boot of his car and drives off. Viktor has the tech expert trace the number of an alternate number the doctor uses and they're able to trace his movements down the highway. Sniffer consumes the unknown substance he extracted from the blood sample, intent on monitoring his activities using a body cam he stole from the police department. Viktor catches up to the sniper's car and they begin shooting at each other. The sniper shoots at the boot of his car before running off. Viktor pursues him until there's nowhere left for him to run so the sniper decides to jump to his death. When Viktor and other officers check the boot of the car they find the doctor is daed from multiple gunshot wounds. Officers on the crime scene call Viktor over to another area of the patch of land where they've discovered Sniffer convulsing on the ground.